Updated on April 15, at 12:56 p.m.: GlutaMAX posted an apology on their Facebook page. Updated on April 15, at 10:50 a.m.: GlutaMAX has taken down their ad and statement from their Facebook page. 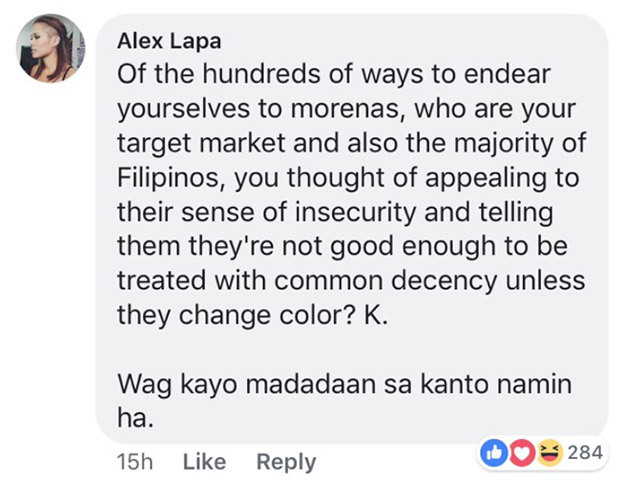 Aside from Twitter, the comments section in their Facebook ad post is lit. And it seems like the GlutaMAX team has been replying to defend the brand. You can find the thread below, or click here to view comments. 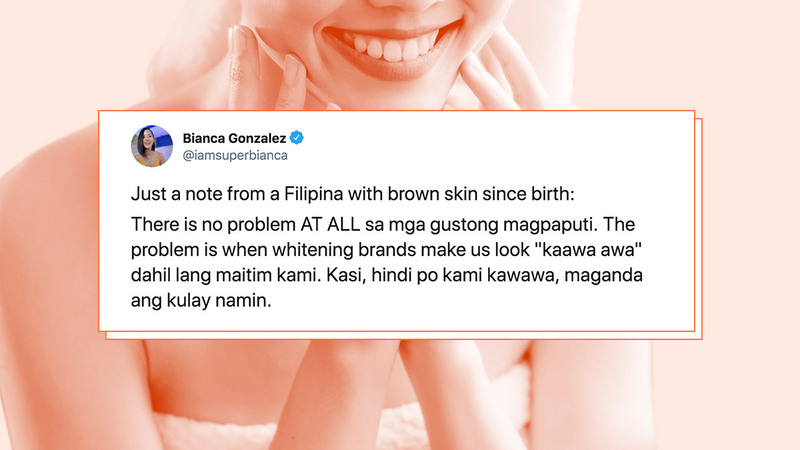 Lightening one's skin is a choice, and skin whitening ads should respect that. Here at Cosmopolitan, we do admit that we have brightening skincare routines to fade acne marks and even out discoloration in the kilikili and singit area. But, we always keep in mind that we never want anyone to "alter" her skin tone just because the media dictates it. More importantly, we don't think there's anything wrong if you prefer to be a few shades lighter than your original shade. Again, it's your body, your rules, and your choice. Also, it's unfair to pit two skin tones against each other. It doesn't help this deeply-rooted societal issue at all. It's 2019, ICYDK. We're pretty sure embracing morena skin isn't a thing—it's a reality.